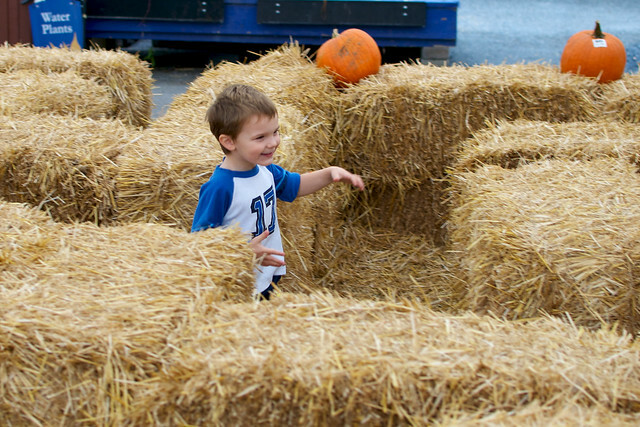 Nothing says autumn like pumpkins and hay bales. And colder weather. Evy and Brandon experienced all of those things last weekend during a visit to the middle of the state. They started with a trip to a fall festival where they painted pumpkins, posed with a scarecrow and ran through a hay maze. They also attended their first Hootenanny on the Hill. 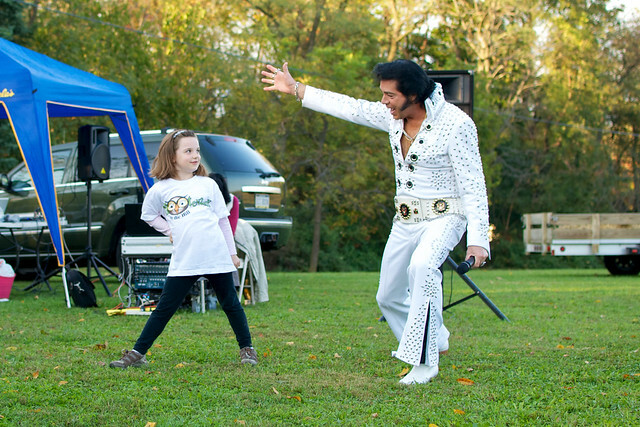 And if the hay ride and fresh cut fries weren't enough, how about an appearance by the King himself. More pictures from the beginning of fall are on Flickr.